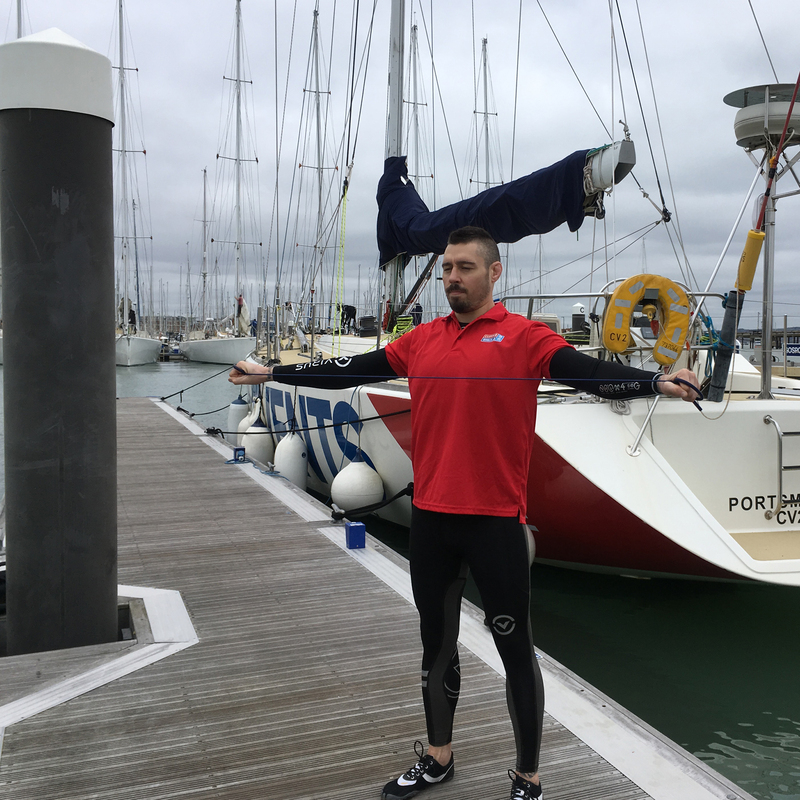 Being physically fit is all in a day’s work for former Ultimate Fighting Championship (UFC) fighter Dan Hardy, but he had to adapt his training for a very different challenge when he decided to take on the Clipper Race. UFC and sailing are two of the least likely sports you would think of putting together but it turned out Dan Hardy had long felt an affiliation with the sea. 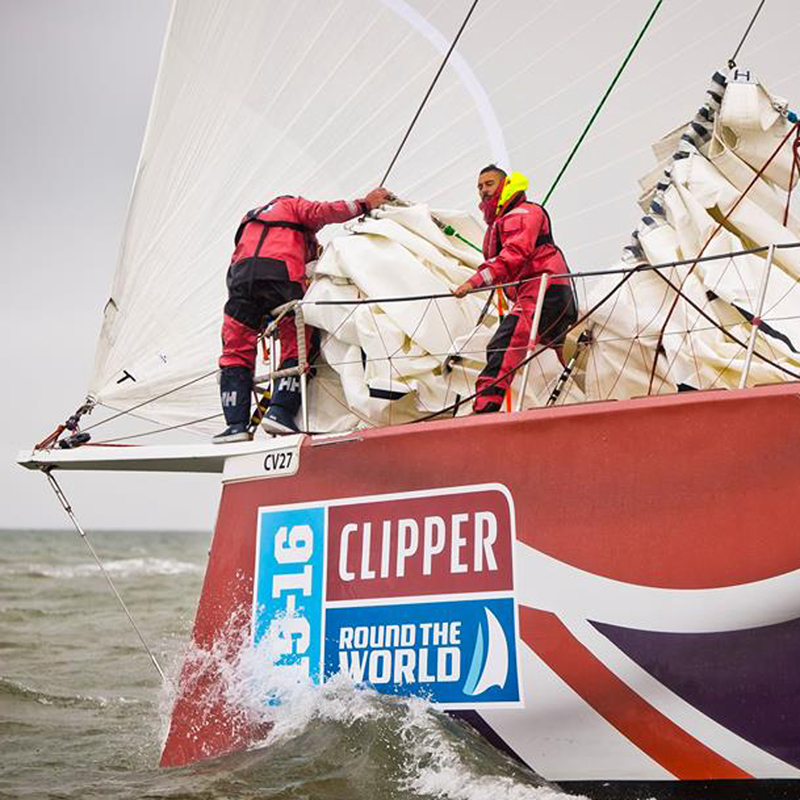 On board GREAT Britain for the opening leg of the 2015-16 race from London to Rio de Janerio. It was a time he describes as one of the best, and most challenging, experiences of his life. “Doing the Atlantic Crossing from London to Rio which was one of the most amazing experiences of my life. I’ve definitely got the sailing bug now, I love this,” says Dan. It was during this time on board that made Dan realise he had a wealth of knowledge that he could pass on to others to help strengthen and prepare their bodies for the difficult task of racing 40,000 nautical miles across the world’s oceans. “I felt physical conditioning and physical preparation for the boat was probably the most important thing of all because you rely on it all the time. Just moving around the boat, just getting into your bunk, even when you’re cooking pasta in the galley, you need to be physically fit and strong and able to brace yourself. Dan has put together four fitness training episodes, each getting progressively more difficult, to mirror the four levels of training each Clipper Race crew member goes through before taking on the race. “It will start off quite easy,” he says. For the next four weeks, we will be releasing an episode each week to help crew prepare for Race Start on Sunday 20 August in Liverpool. Before beginning any exercise program, please consult your physician or healthcare professional to design an appropriate exercise prescription. If you experience any pain or difficulty with these exercises, stop and consult your healthcare provider. Feeling inspired? There is still time to sign up and be a member of crew for the Clipper 2017-18 Race, though spaces are limited for both the full circumnavigation and individual legs. Applications are also now open for the 2019-20 edition. If you think you have what it takes to race across the world’s oceans, then apply here. Dan says: "Depending on the weight of the kettlebells that you have access to can dictate how many sets and repetitions you choose to perform. If you have a light weight for example, higher repetitions will be good for building endurance, coordination and base level strength. Always a good place to start, and also a good warm up before moving on to heavier weights. This can be done by choosing sets and reps, such as four sets of 25 repetitions per side, or you can time yourself, working one exercise for a minute or more before taking a short break. This can also be repeated for several sets. “If you are ready to work with a heavier weight then either of the above methods can be used but the time or number of repetitions would be decreased. When I am working with a heavier weight I prefer to do sets of ten and doing up to five sets of ten per side. The most important thing is the technique. If you like, you can choose one exercise a day to start with. Challenge yourself to do a number of repetitions and take as many rests as you need to complete the chosen number. Over the following days and weeks you will notice how quickly you will adapt to the exercise and will need to make it more difficult to feel challenged. “Kettlebells are very accessible now and are a very versatile tool for whole body conditioning. I also like that it uses momentum to challenge the stability of the whole body, and the core is always activated, which is essential for sailing. "The handle grip on kettlebells proved very useful when moving around the boat in rough seas. Many types of strength and conditioning methods don't develop the grip and forearm strength like kettlebells do - something that I was thankful for at times during my race. They can be picked up from most sports shops, and even supermarkets, or ordered online. Start off light and build up gradually, especially if you haven't been consistently active over the last few years. “Good luck! And remember, the better you prepare now, the more you will get out of your Clipper Race experience."